The curtain is raised for the ultimate duo! Bugatti is bringing two automobile highlights to this year’s Monterey Car Week in California: on Friday, August 19, 2016, the Chiron, Bugatti’s new super sports car, is celebrating a premiere at The Quail: A Motorsports Gathering. On Sunday, August 21, 2016, the world’s most powerful, fastest, most exclusive and most luxurious production super sports car will be on show at the Pebble Beach Concours d’Elegance. 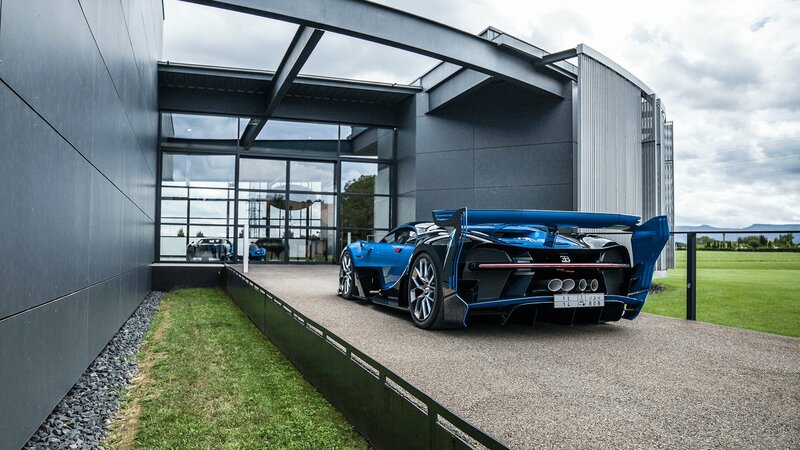 For the first time, the Chiron is to appear at this event together with the Bugatti Vision Gran Turismo concept car which gave a glimpse of Bugatti’s new design language at its world premiere about a year ago. The show car of the Vision Gran Turismo is coming to the USA for the first time and will be on display on the concept lawn in Pebble Beach. Bugatti presented the Chiron to the public for the first time at this year’s Geneva International Motor Show. To date, more than 200 of these vehicles, which have a power output of 1,500 PS and are therefore the world’s most powerful production super sports cars, have been ordered. Currently, Bugatti is preparing for the start of series production at its home in Molsheim. The first vehicle is due to be delivered to a customer in the autumn. Prior to the beginning of this new chapter in its modern corporate history, Bugatti gave a successful intro with the Vision Gran Turismo last year. Exclusively for the PlayStation videogame series Gran Turismo Sport, the French super sports car brand developed a virtual concept car – firstly as a tribute to its fans throughout the world and secondly in order to provide a glimpse of Bugatti’s future form and design language, which has now been embodied in the Chiron.